There’s now an agenda posted for next month’s UK VMUG in Birmingham. As you can see, it’s got some cracking sessions in it. If you haven’t registered yet, or you want to check the agenda out for yourself, head over to the VMUG site. The dust has barely settled on VMworld Europe and the Agenda for next month’s UKVMUG in Birmingham has been posted. There are multiple tracks and some big names presenting in addition to the valued event sponsors. It’ll be difficult picking between everything that’s going on. For instance should I go for Duncan and Frank’s Deep-Dive discussion, Alan and William’s Practical Automation session or Hugo and Aidan’s VCDX Boot Camp? And that’s just breakout block #2! It’s interesting that there are Community sessions scheduled alongside Sponsor ones. I imagine this might be in response to some feedback from last year’s event or perhaps from more recent VMUGs. 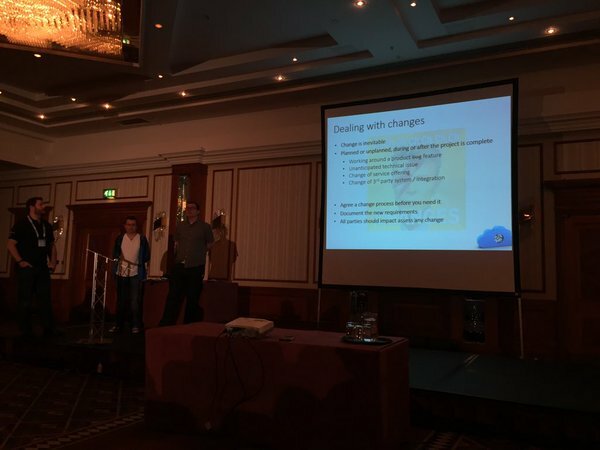 The first UK-wide VMUG event went so well last year that it’s on again this year. Once again it’s on at the National Motorcycle Museum just outside Solihull (nr. Birmingham). The night before there is a vCurry reception (also at the museum) sponsored by Veeam. What are you waiting for? Register here! As the days get shorter, colder and wetter (is that actually possible this year?) it means that November is drawing nearer and that heralds the next UKVMUG in Solihull. The UKVMUG is the country’s VMware and Virtualisation community conference held annually and this it’s year on November 15th. Put the date in your calendar! The organising committee have today asked for submissions for community presentations to be made via a google form. If you have a good idea for a presentation on a project or specific technology and you want to present at the VMUG then pop your ideas in here. Last year’s event was very well attended. See my review of it here. I was listening to Joe Baguley‘s keynote speech at the UKVMUG the other week and it made me think – which of course was the point. The central topic of his presentation (or at least how I saw it) was to explain where IT is going in the future. There are hints-a-plenty already present in VMware’s current product set and upcoming releases but Joe painted the picture of a future where users aren’t tied to desktop computers (and, as a consequence, desks) but are free to use a plethora of devices to access corporate data and applications stored somewhere off in the clouds. All of this is not because CIOs and CEOs want to go in this direction but because they are being driven that way by their users. These are users who are increasingly growing up in a world where computers and technology are not just prevalent but as much a part of everyday life as food and sleep are. That’s my short interpretation of it anyway, others may disagree with it. Joe described a direction (it’s not a destination as the goalposts will surely move further away before we are ever in reach of them) and I have no problem with it. My children will probably grow up more familiar with handheld devices than the chunky boxes that surround me at present and they are the future workforce that will shape IT; knowingly or not. The standout thought that I had whilst sitting there listening though was something that had been on my mind for some time but that I had yet to find words for. Simply put, my thought was that in IT no vendor can afford to stand still. If they don’t keep innovating and driving forwards in the same sort of direction I mentioned above then the likes of VMware, Oracle, Sun, RedHat, Ubuntu, Apple, Google, Microsoft etc. will become a choice and not an assumption or foregone conclusion when it comes to IT. Take desktop computers as an example. Whereas a high proportion of home computers sold in the last 10 years have run Windows based Operating Systems, in the next 10 years that figure will have changed because other companies have innovated more in that space that Microsoft are perceived to have done. People are increasingly using tablet devices or smartphones instead of desktops and Microsoft have a smaller presence in that market. In 10 years’ time may people may not know or care what an Operating System is. The same thing applies to people. I can’t sit on my laurels assuming that people companies are going to keep using the same technologies in their datacentres. Companies will eventually follow the trends in technology, adapt to the demands of their workforce and head in the same direction as their users because IT is increasingly being driven by consumers and users and not so much by those at the top of the corporate ladder. I welcome and embrace the changes that will come in the next 10 years. I could make this my shortest ever post and just say that it was a brilliant event but that’s hardly useful information for anyone. I did seriously consider it though. So, in case you weren’t able to attend or simply didn’t know about it, last week saw the UK’s first ever national VMUG take place at the National Motorcycle Museum in Solihull. Ordinarily the UK hosts three VMUG meetings (London, Northern and Scottish) at regular intervals throughout the year but the VMware User Group (VMUG) organisation wanted to try out a UK-wide meeting. 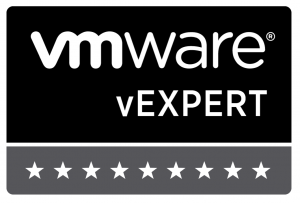 UKVMUG – There’s Still Time (03/11/2011)! Next week sees the UK’s first national VMUG taking place and there’s still time to register for it.